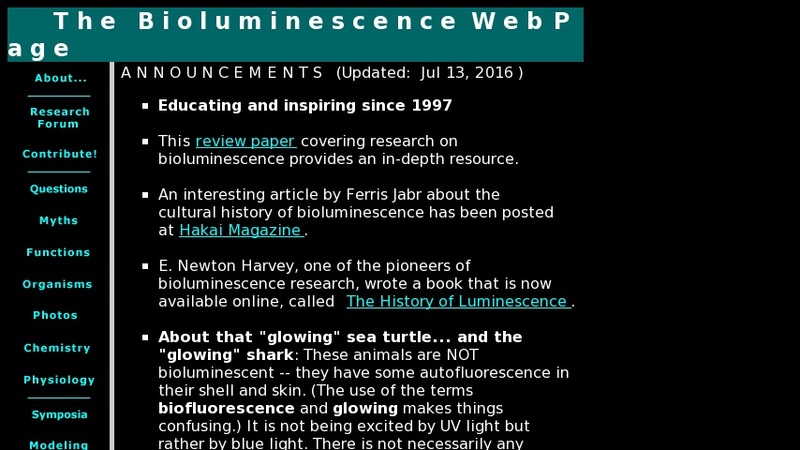 This highly acclaimed website includes information on bioluminescence research, myths, photos, organisms, chemistry, physiology, distribution and more. Features an absolute must-see bioluminescence photo gallery. Also includes submitted abstracts and journal citations concerning bioluminescence, as well as proceedings from several related symposia. The chemistry section has molecular diagrams and several animated illustrations that explain the reaction behind fluorescence.